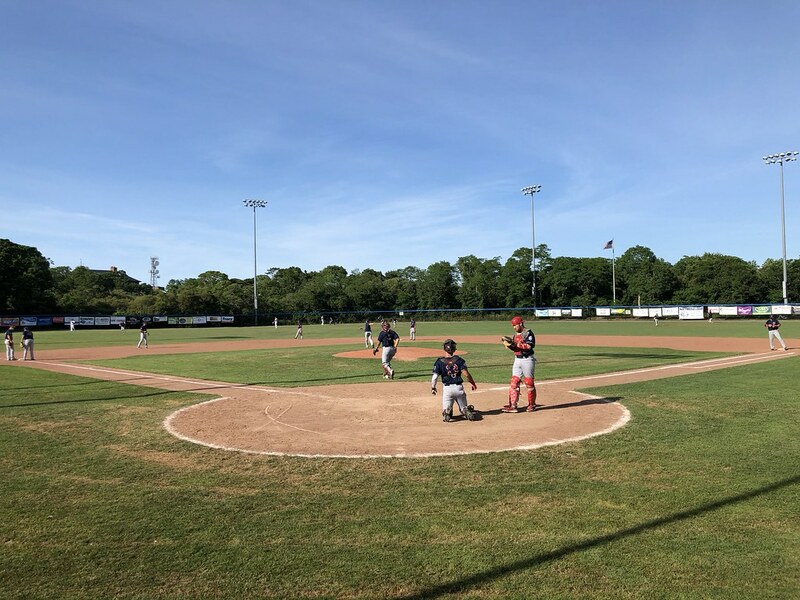 The view from behind home plate at McKeon Park. 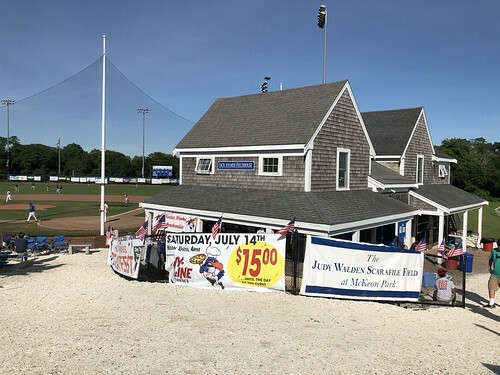 The grandstand at McKeon Park, as seen from the left field corner of the park. 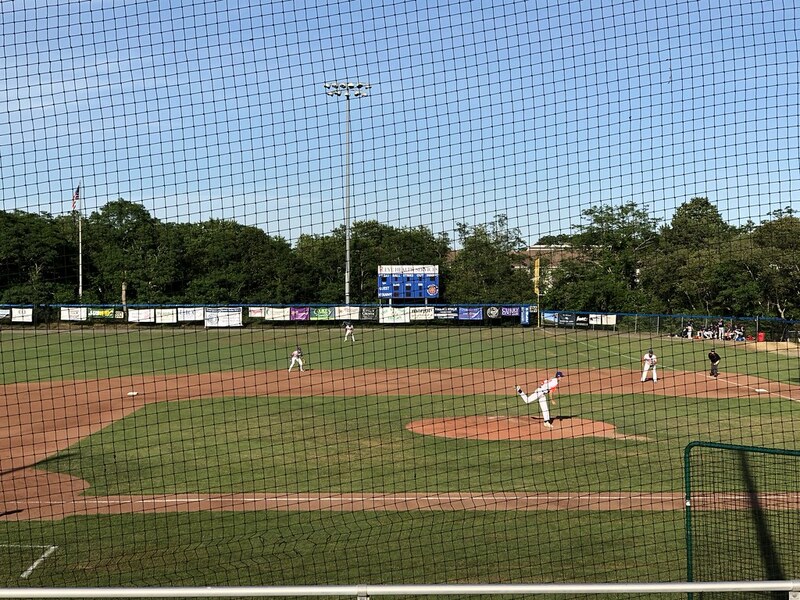 The pressbox sits in a building behind home plate that also houses the concession stands and team store. 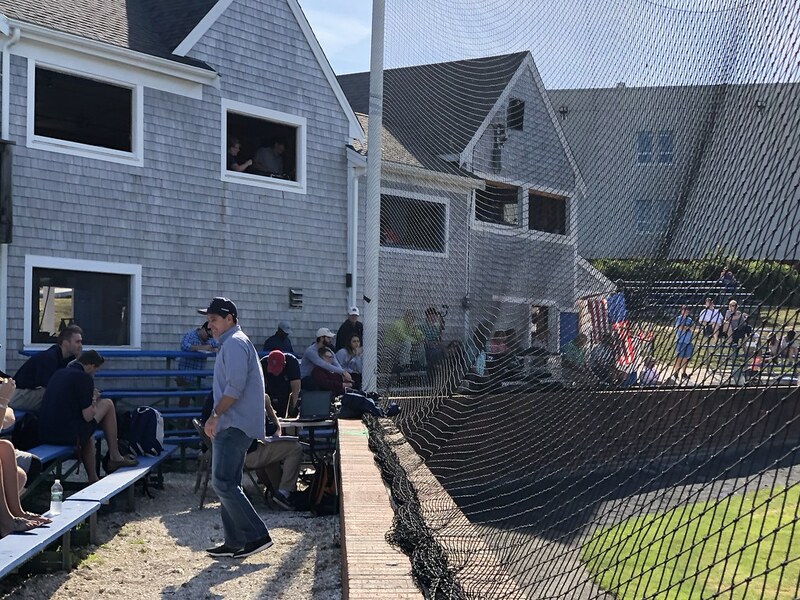 A section of scout seats sits between the building and the backstop. 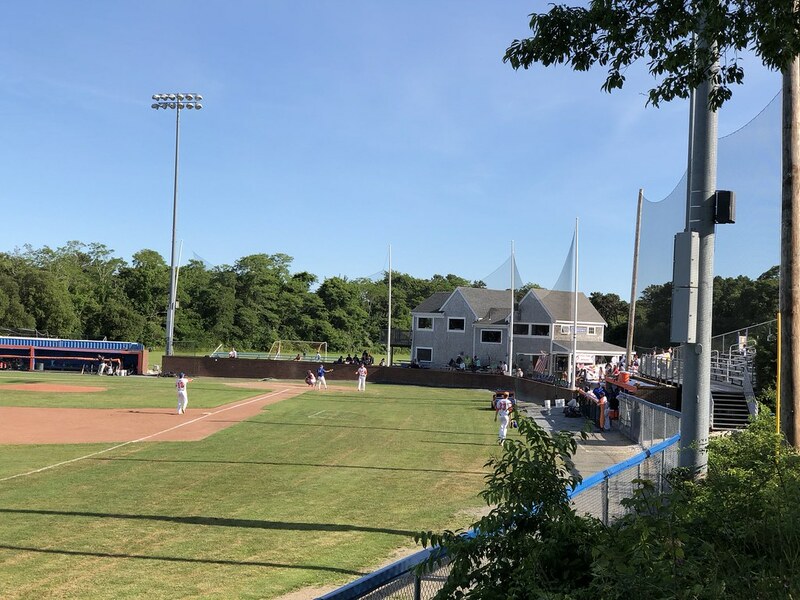 A "luxury box" and party porch overlook the field from the pressbox building. 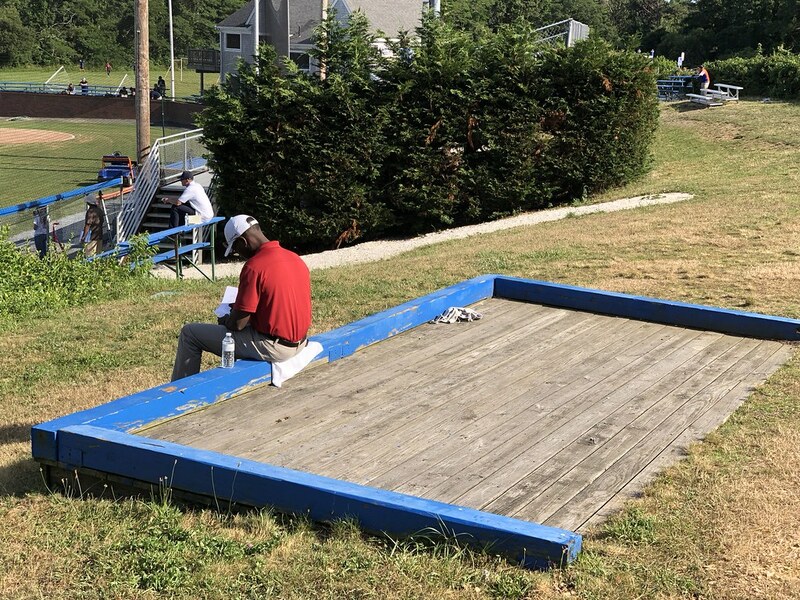 Small sections of blue wooden bleachers run down the first and third base lines. 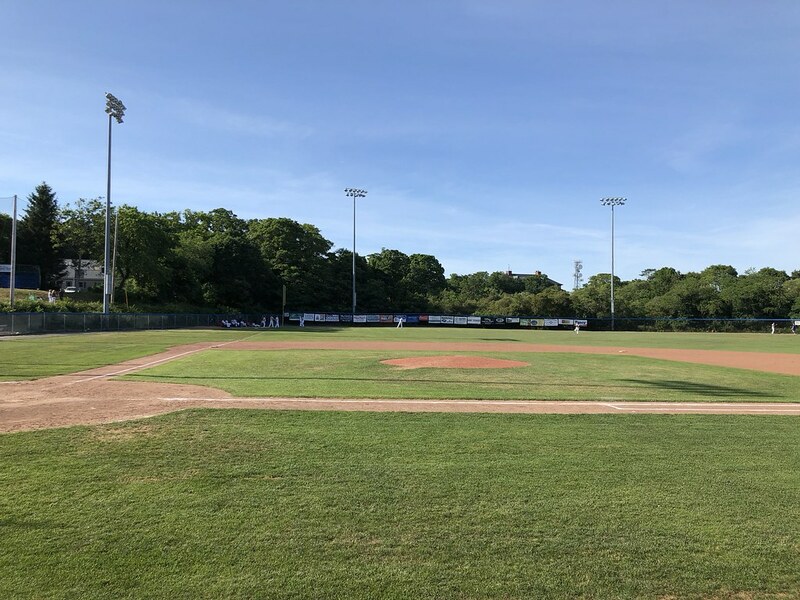 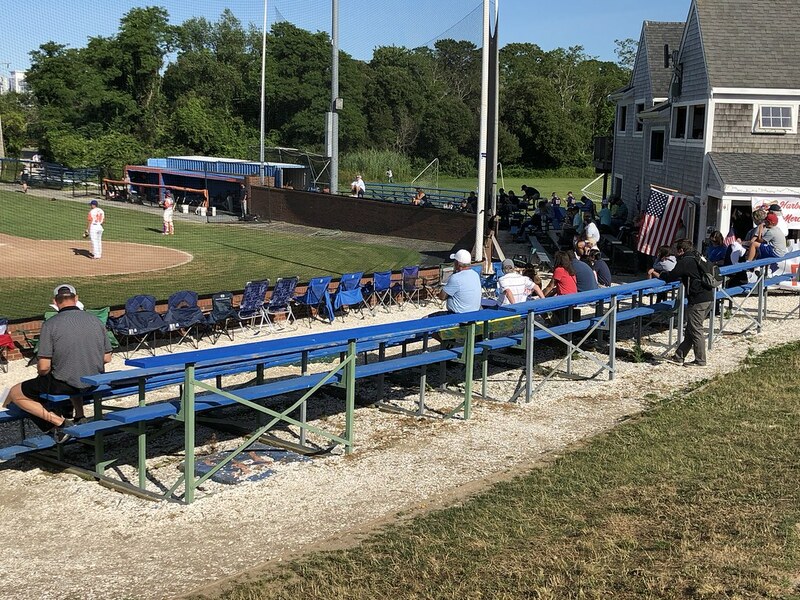 There is room in front of the bleachers at McKeon Park for fans to set up their own chairs, as is custom on the Cape League. 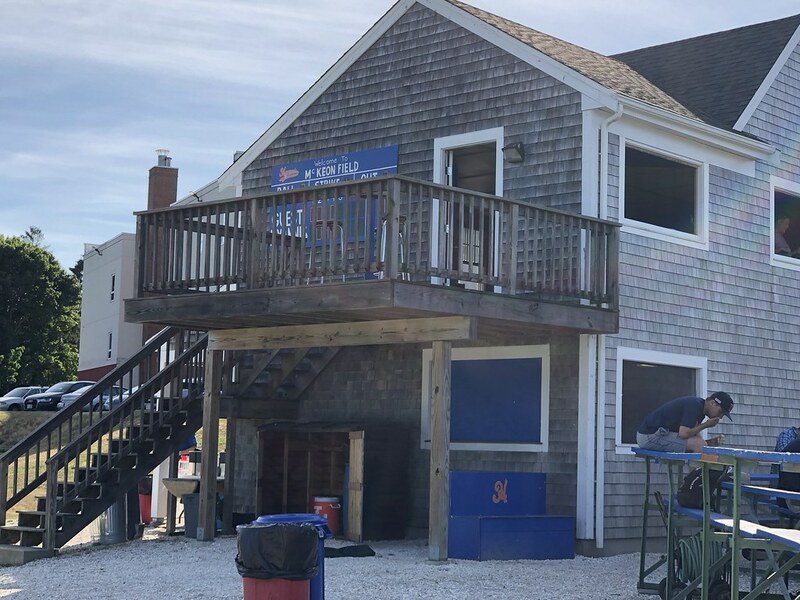 The "sand" on the ground is actually crushed sea shells. 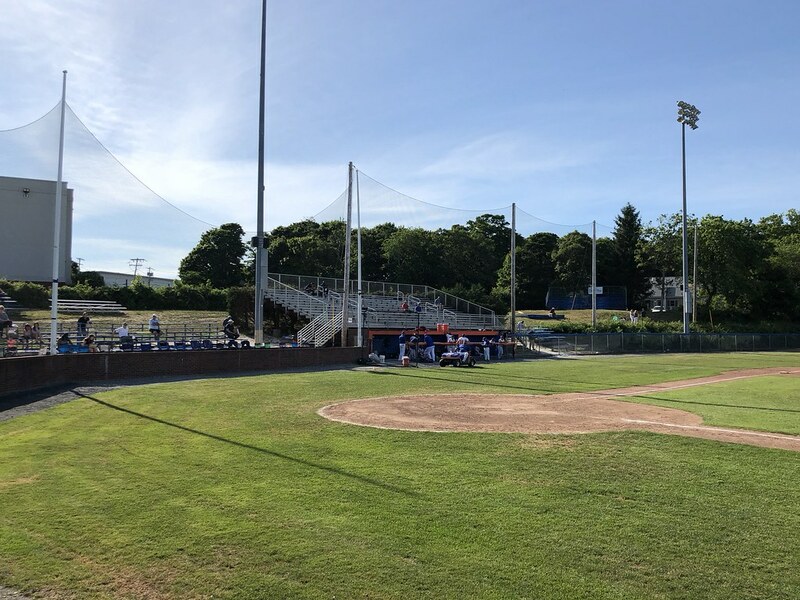 The largest seating area in the ballpark is an aluminum bleacher section that sits on top of the third base dugout. 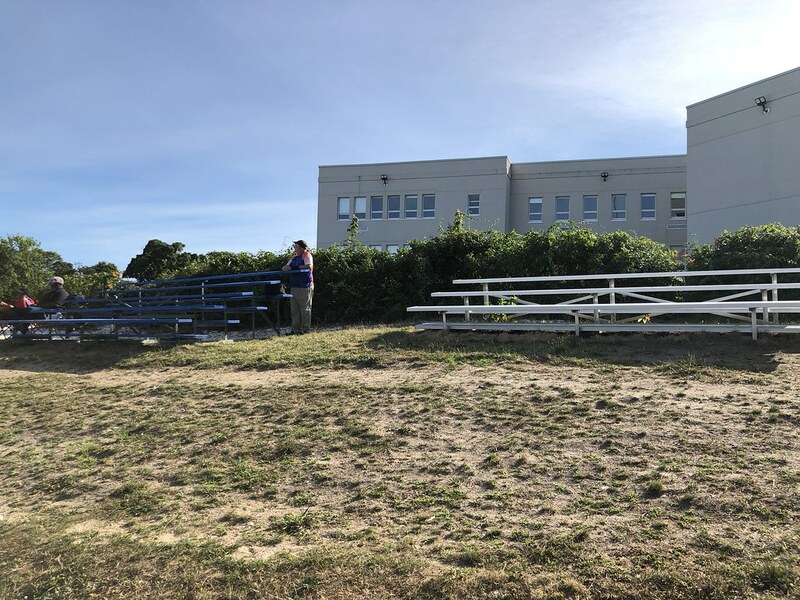 More small bleacher sections sit on top of the sand dune hills behind the school on the third base side. 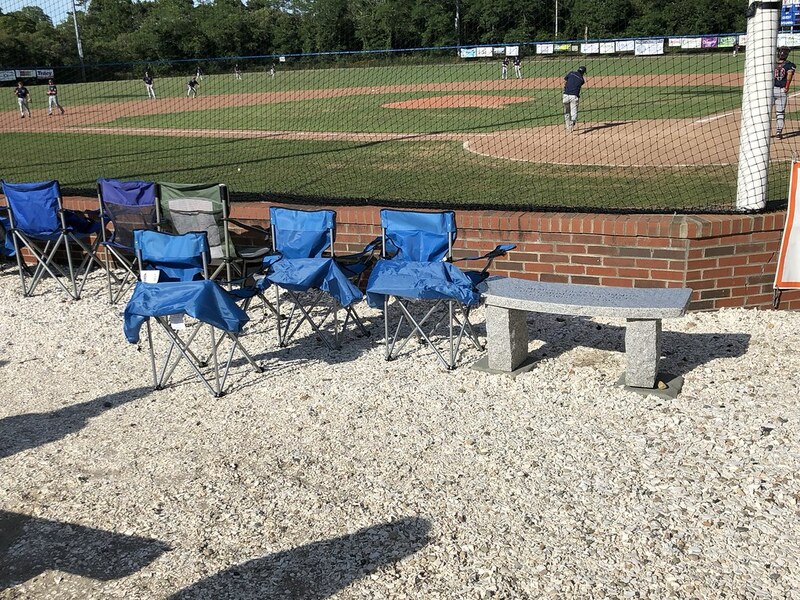 A wooden platform provides an area for handicap seating on the hill in the left field corner of the field. 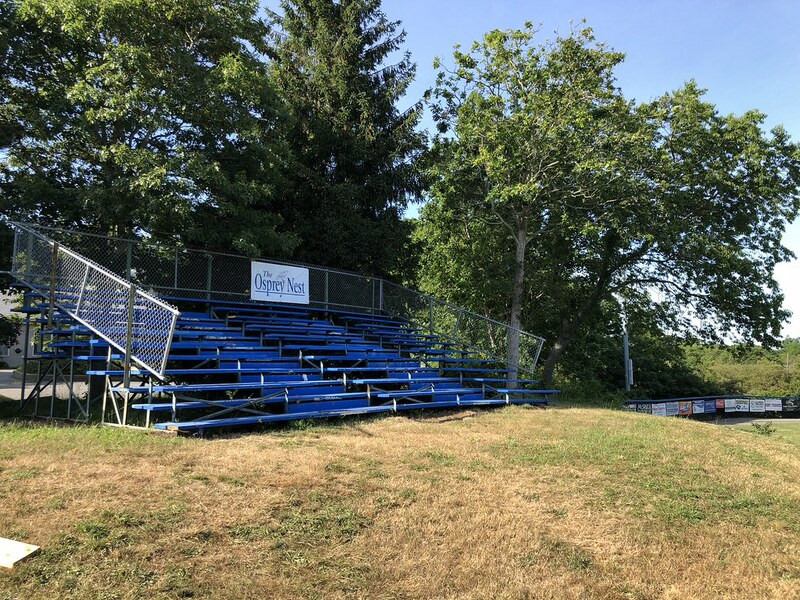 "The Osprey Nest" is a set of wooden bleachers on the left field hill at McKeon Park, giving fans a "bird's eye view" of the action on the field. 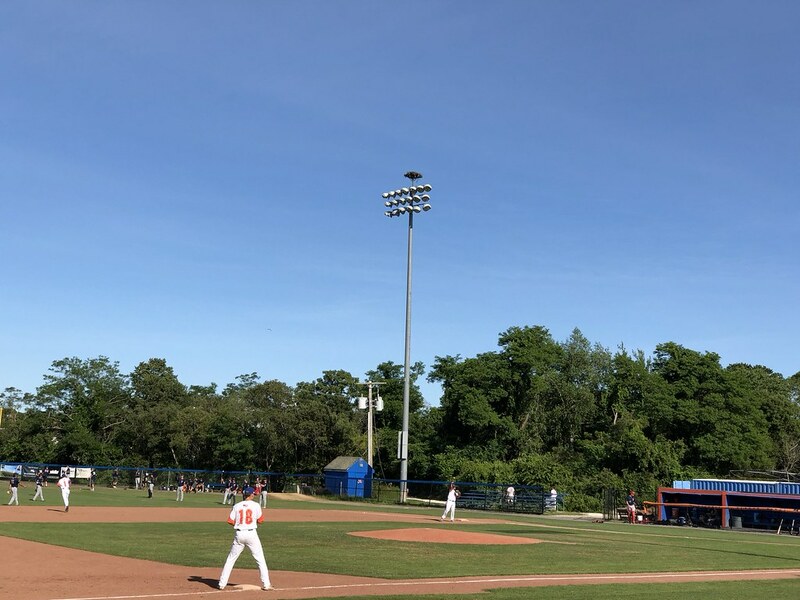 An actual osprey nest sits atop a light tower on the first base side of the park, giving the "Harbor Hawks" their namesake. 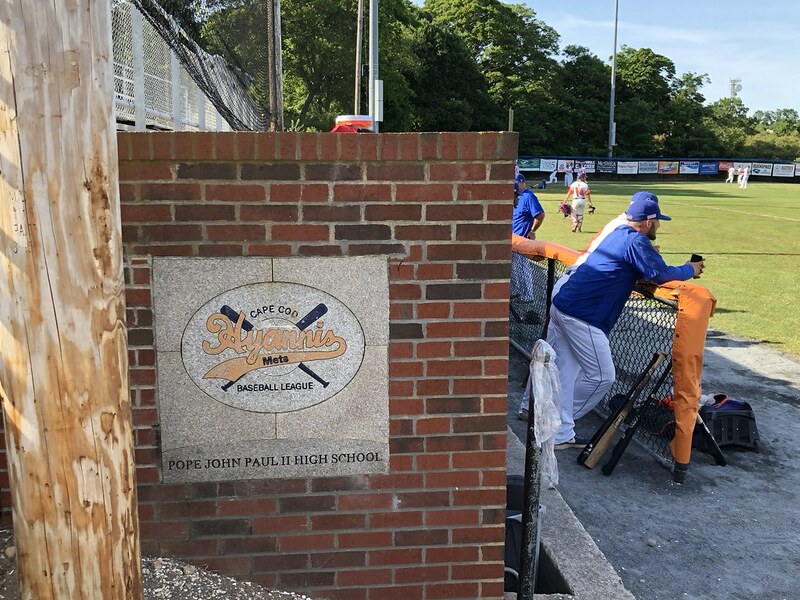 A plaque on the home dugout celebrates the field's location on the campus of a local high school and features the team's former name of the Mets. 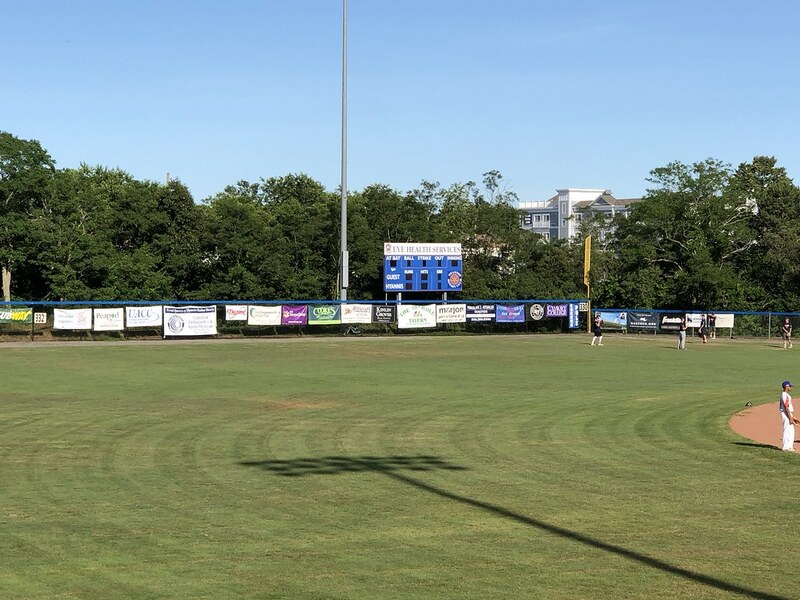 The outfield wall at McKeon Park. 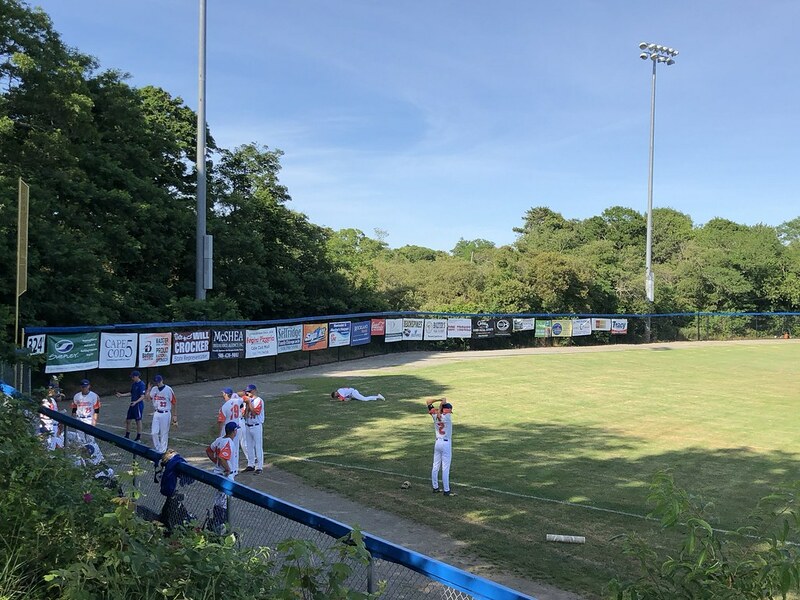 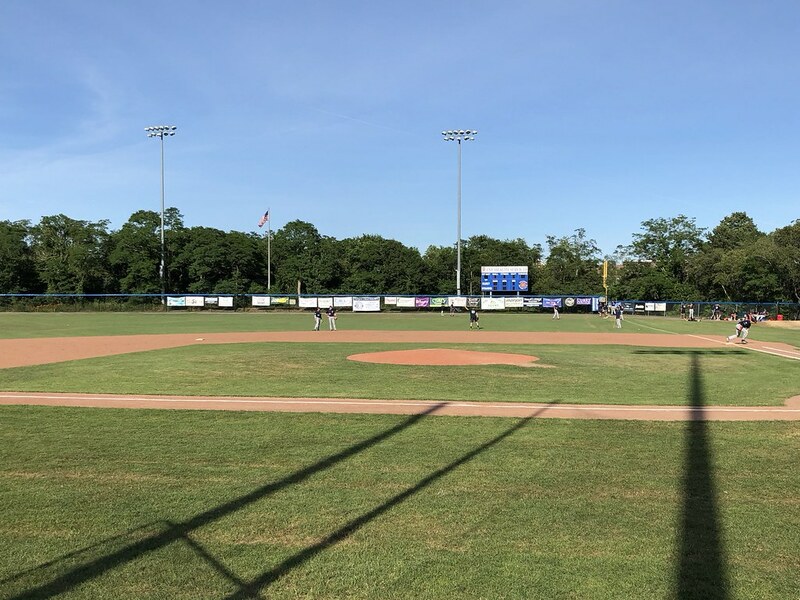 The Hyannis Harbor Hawks on the field during a game at McKeon Park.